Governorship Candidate of the All Progressives Congress (APC) in Imo State Senator Hope Uzodinma has pronounced Governor Rochas Okorocha dead politically. He said the governor should apologise to Imo indigenes for his misrule rather than looking for scapegoats for his failure.In a statement in Abuja, Uzodinma said Okorocha should hide his face in shame rather than blaming him and the National leadership of the party over his failed plot to install his son in-law as governor of Imo State. The lawmaker, who was reacting to the comment by Okorocha that the APC failed to win the Imo governorship election due to the candidacy of Uzodinma, reminded the governor that even as “a sitting governor he failed to win a senatorial election and got a Returning Officer to announce him winner under duress. 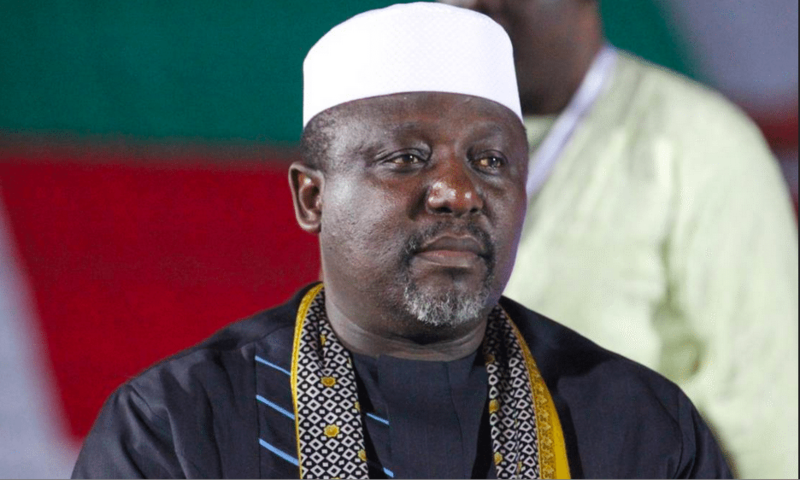 “Thank God all his conspiracy against us has ended and he has buried himself politically.“I expect by now he should be apologising to the people of Imo State for the crime against God and humanity he committed.“I will reclaim my mandate which Okorocha and Ihedioha stole last weekend and then i will have something to tell Okorocha,” he said.